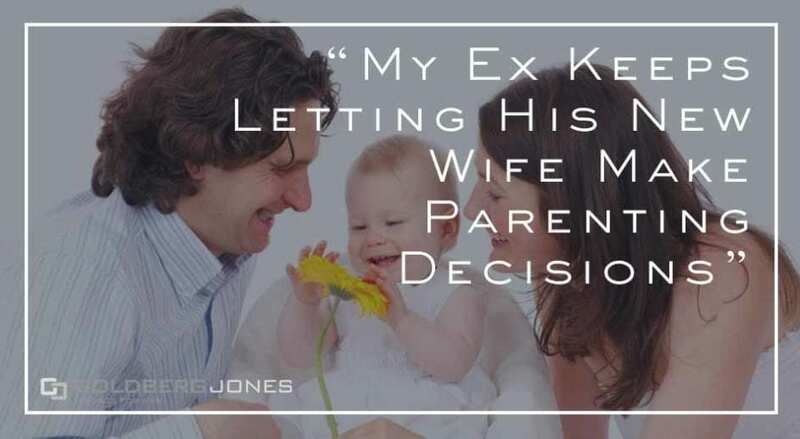 "My Ex Keeps Letting His New Wife Make Parenting Decisions"
Child custody battles are an unfortunate fact of many divorces. You may never want to see your ex again. But with kids, that’s not usually an option. In most cases, parents share the power to make decisions when it comes to raising their children. This is often complex in the best of times, but what about when a step-parent enters the picture and muddies the water? Rick Jones, our founding partner, makes regular appearances on KZOK 102.5 FM on the Danny Bonaduce and Sarah Morning Show. He answers caller questions about divorce, child custody, and other family law matters. One caller is having trouble seeing eye-to-eye with her ex and his new wife when it comes to raising their child and over who has decision making power. Does she have any options? Rick – “What you can do, especially if you’ve got some examples, some smoking guns, maybe some nasty emails from her or something like that. What is a “Motion to Enforce”? Motion to Enforce and/or for an Order to Show Cause Regarding Contempt: This kind of motion asks the judge to enforce the order and to hold the other party in contempt for not following the court’s order. If you have questions about divorce or child custody, contact Goldberg Jones at our Seattle office.